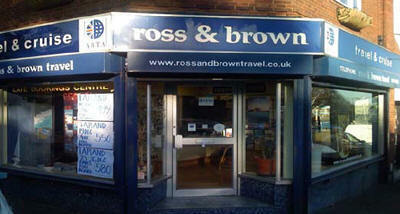 For over 27 years Ross & Brown Travel have provided the discerning travellers of Sutton Coldfield the very finest of holidays catering for every taste, from tailor-made touring and cruises to every part of the globe. Ross & Brown pride themselves in dealing only with the most professional of tour companies whose attention to detail is paramount in making your travel arrangements a success. You may think dealing with the best would come at a high price but no, not at all. All our tour companies are extremely cost effective and no more expensive than the mainstream operators. We aim to provide you our valued clientele with an even better level of service (if that is possible) than before to ensure that our travel arrangements give you the holiday of a lifetime.